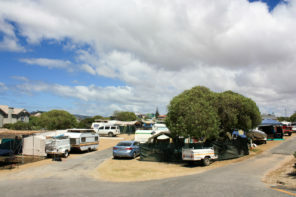 Cape Infanta and Witsand lie at the mouth of the Breede River on the eastern and western sides respectively. They are both small, seaside holiday towns known for their wide white beaches, fishing and water sports. Commercial fishermen operate from the small harbour and visitors can, with the correct permits, pick oysters and mussels off the rocks at low tide. Witsand is also known as the “Whale Nursery” as the Southern Right whales come here in the winter months to calve in the bay. Witsand was once a few kilometers down from a port called Port Beaufort (now no more) and there are some historical buildings from the times when it was a commercial transport hub.